Julie Razafimanahaka and Julia Jones from the p4ges team have just published a peer reviewed letter in the journal Biological Conservation with some colleagues (led by Freya St John) looking at the question of what efforts researchers should make to protect the anonymity of research participants. In many cases those conducting research about the use of ecosystem services (such as in espa funded projects) find they are asking sensitive questions and in extreme (but not uncommon) cases, where the questions concern illegal activities, the research may put participants at risk. There has been increasing use in the last few years of research methods specially designed for asking sensitive questions. Such tools, including the Randomised Response Technique (RRT) and the Unmatched Count Technique, are increasingly used to investigate rule breaking in conservation for example hunting of protected species, use of illegal fishing gear, or farming within a protected area. These methods go beyond simply not collecting or removing information which could identify a single person. Instead they provide research participants with levels of protection greater than simple guarantees of anonymity by replacing a proportion of responses with “noise” using a randomising device with a known distribution. They have the additional advantage that the researchers themselves also do not hold any incriminating information about the individual. Julie Razafimanahaka has pioneered the use of such methods for studying bushmeat hunting in Madagascar. There is increasing evidence that these methods do increase people’s willingness to report their involvement in illegal activities (though of course nothing can avoid the need for establishing trust between the researcher and the informant). 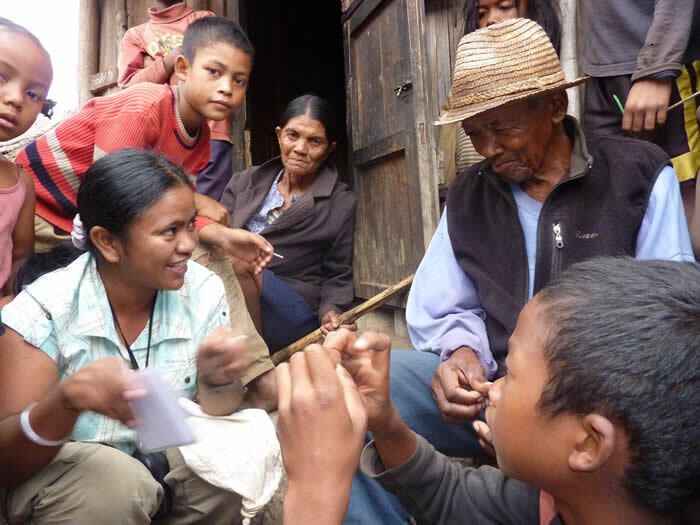 These specialized methods work well at protecting individuals but, if statistics such as the proportion of people in a certain village who are involved in a prohibited activity are reported, then it is still possible that harm will come to participants as a direct result of the research. The question then is what level of spatial aggregation should such data be presented at? Is it appropriate to mention the villages where research took place at all? There is no simple answer to these questions as research needs to be transparent and the location is often centrally important context. Those of us conducting research on illegal or otherwise sensitive behaviours, have a responsibility to safeguard our research participants. The result of the research may well be that enforcement of environmental rules is increased, but we should ensure that those involved in our research are not disproportionately impacted by the increased enforcement. There are difficult decisions to be made about where the balance lies between transparency in research and protecting participants but the authors call for more attention to research ethics from the conservation science community, and conservation journals.